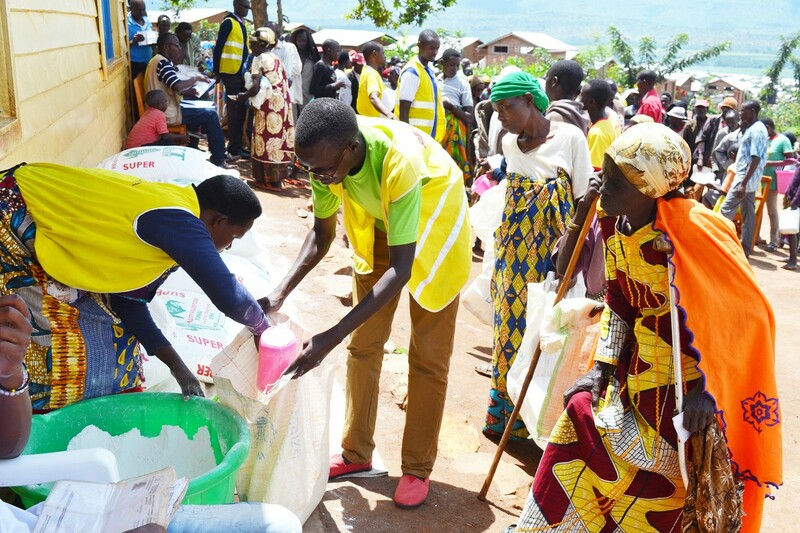 Caritas Rwanda is launching an emergency appeal to assist thousands of refugees from Burundi and help improve the living conditions of the most vulnerable in the Mahama camp in the country’s east. Caritas is struggling to raise financial support, with a shortfall in funding of nearly €200,000. There are more than 57,650 Burundians living in the camp. Many fled Burundi when conflict broke out in 2015 and are still unable to return. Camp newcomers are arriving each month. Caritas Rwanda wants to continue its programmes providing critical food, economic and psychological support for refugees. With this new project, Caritas plans to continue its work and assist a total of 5,100 people by providing nutritional assistance to 1,300 chronically ill, 1,400 elderly and 1,000 others with disabilities. 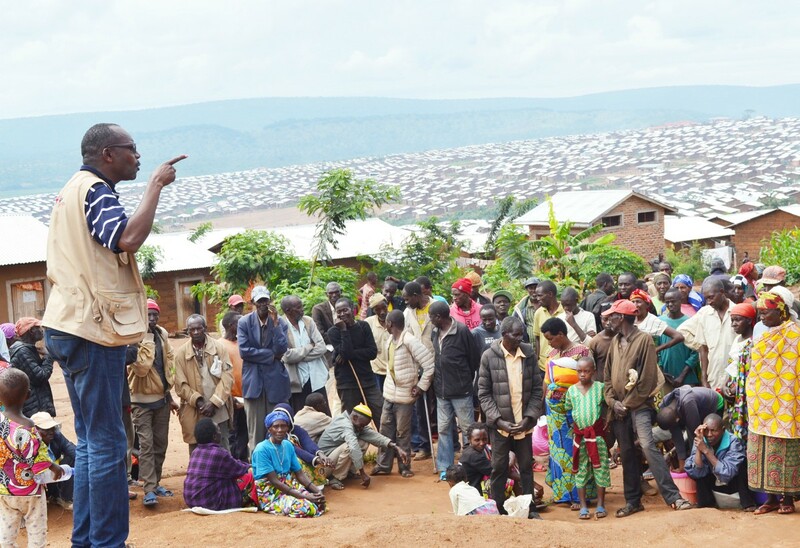 It also intends to offer counselling to 200 people who may have been victims of violence or suffered other kinds of trauma.Caritas Rwanda also serves the newcomers during their first 3 days in the camps with meals. “A great deal has been achieved in the past three years but with no end in sight to the crisis in Burundi, there is an ongoing need to assist refugees, in particular the chronically ill, mentally and physically disabled and the elderly,” said Therese Nduwamungu, Carita Rwanda project coordinator. Financial sustainability is crucial for long-term refugees. Caritas will offer advice and training to 1,100 women about savings and loans and cultivating their own vegetable gardens to improve households’ everyday nutrition. Due to funding shortfalls in the past year, Caritas Rwanda has been forced to make a difficult decision and cut back its fresh food assistance for chronically ill people, including those living with HIV, diabetics and anaemic patients. The negative impact is huge. Chronically ill cannot survive without fresh food and the number of malnourished children under the age of five is rising. Caritas Rwanda staff and volunteers in the Mahama camp said people who had benefited from fresh food assistance were dying and the restoration of this assistance was essential for the survival of the most vulnerable. Caritas Rwanda is one of only three local non-government organizations working in the Mahama camp and also works closely with UN bodies there. Staff spoke to representatives of the American Refugee Committee and Save the Children International to find out more about the consequences. Jean Damascène Habimana, a nutritionist for the American Refugee Committee at the Mahama camp, said there had been an increase in the number of anaemic patients and the length of time they were being treated. In March alone 455 anaemic children were treated at the Mahama I health centre, while the number had never exceeded 200 previously. Fresh food for hospitalised patients has been kept in the new project, even if reduced to a bare minimum because of the cost, to try to continue to support those vulnerable in the coming months, the time for Caritas Rwanda to try to find a solution.